If you would like to contact me via e-mail, please complete the form below. You can also contact me by telephone on 01444 487 474. If you need advice about a treatment or would like to book a consultation, please use the comments section to give me as much information as you can, and I will get back to you as soon as possible. 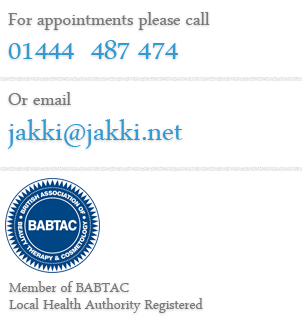 If you would like to book an appointment please see appointments.